Beware of getting swept up by the cloud wave. Make sure cloud computing is right for you and that you're choosing to migrate to the cloud for the right reasons. Cloud computing has made big leaps in the past few years by emerging as a conventional business tool, and several strategies have consequently surfaced. These myths aren’t necessarily as risky as they were initially presented to be, but they certainly affect our methods of approaching solutions in the cloud computing space. The following is a list of some of notes that you will find useful. Some say the cloud is all about saving money. In fact, that is the number one reason why companies are migrating to the cloud. However, the truth is that saving money isn’t the most important benefit of switching to the cloud. The real advantage lies in the agility that the cloud offers. Though the prices for IaaS (Infrastructure as a Service) are dropping, most cloud app pricing have remained fairly consistent. This is not quite true for SaaS (Software as a Service) or PaaS (Platform as a Service), where we are actually seeing some increases — so the earlier you get in and lock your price, the better off you are in the long run. You get savings only after doing an exhaustive analysis of the situation, where the total cost of ownership can be determined. To get a sense of the full picture, one must look beyond just upfront costs and also be certain of the significance of the shift from capex (capital expenditure) to opex (operational expenditure). Capex or front loading software expense has been the main money maker for software giants with the likes Microsoft, Oracle, or SAP. This was challenged with the likes of Salesforce and Amazon and their subscription models to change the paradigm, and they have succeeded in doing so. Now, subscription software has become the main method of sales across the board. So like it or not, your software is likely going to steer you towards subscription pricing sooner or later. 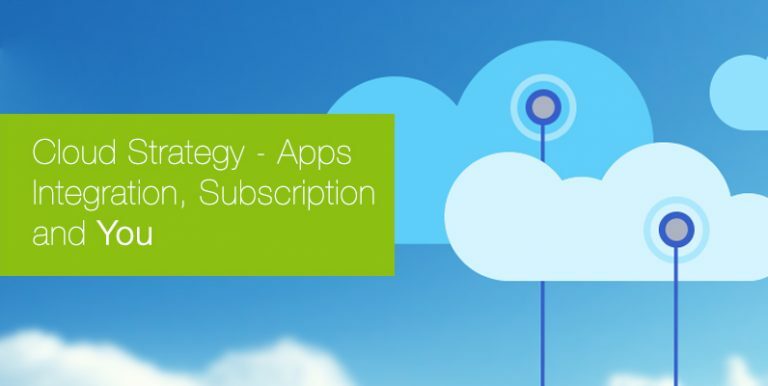 Cloud and subscription-based pricing have intertwined over the years. An on-premise software sold on subscription pricing is also at times called a “Cloud App” and has become common practice. Many organizations intentionally or unintentionally have been “cloud washing:” a general tendency to call things cloud that actually aren’t. Let's take, for example, Adobe’s popular Illustrator and Photoshop suite of products. They are licensed on a subscription model, but you still have to install and run it on your machine. Reading the headlines of popular publications could leave a business owner with the impression that the cloud is a such a mandatory aspect of business that business goals cannot be achieved without it. This notion can be debated. Some cloud vendors believe that connecting everything with the cloud makes them look more important, sophisticated, and on par with the current IT trends, perhaps leading to more funding or help in marketing themselves, but the fact is that all of these often misconstrue the true essence of being on the cloud. Cloud apps certainly help in scalability and reliability of running your operations without the overhead that you would have for traditional on-premise software. This is especially true for cloud apps and not necessary with IaaS — like hosting and managing your servers on the cloud. You still might have “some” of the operational overhead (minus) hardware cost. There are many scenarios when a cloud app or service might not make sense. Say for example your firm is generating massive amounts of data or sensitive healthcare data within your in-house systems. The cost of shifting through this data back and forth to the cloud service might be cost- and time-prohibitive. Perhaps you should consider a hybrid approach leveraging best of both worlds. Cloud computing is not just “one thing.” Because of the complexity of cloud computing, a cloud strategy should be formed. There are several cloud services in the market spanning multiple levels, models, scopes, and applications. Some leading apps, for example, are Salesforce (CRM), QuickBooks (Accounting), and Dropbox (Storage). For infrastructure, Amazon Web Services and Azure are leading the way. Before building a cloud strategy, it is important to figure out and align the business goals with its potential benefits. According to these benefits, the necessary operations should be decided, and these may involve multiple cloud services. Considering these operations, a single cloud strategy can be formed based on a decision framework that allows these multiple services to function at full efficiency. Cloud service providers have increasingly started to collaborate with others, bringing best-of-breed apps together. You can find marketplaces like AppExchange (Salesforce) or Amazon Web Services Marketplace, which bring together many apps to function seamlessly with their platforms. Where there are gaps, there are integration vendors offering integration-platforms-as-a-service (iPaaS) like DBSync and Informatica. One of the number one concerns I hear from business owners when faced with switching to the cloud is that cloud computing is less secure and could put their organization at risk. The reality is that many security breaches start from the on-premise data center environments and not on the public cloud. This is because the cloud providers make significant investments in security technology specifically because this is so many businesses primary concern. Even so, you cannot assume that cloud is entirely free from all kinds of security risks. Security does not depend on one factor, and it is very important to identify where the security vulnerabilities actually lie. It’s better to always err on the side of caution in order to avoid a security breach. This is possible when an organization assesses the actual capabilities of its potential Cloud service provider’s and takes the necessary security precautions accordingly. Many assume by simply migrating to the cloud that they will automatically be able to have all features and capabilities they’ve heard the cloud can do. This isn’t the case, as a lot of the attributes and characteristics of clouds aren’t transitive and depend on the infrastructure and setup of the business as well as what applications the business will be using. Applications hosted on the cloud are different from cloud services. You need to understand the difference. If an application is hosted in the cloud, it may not necessarily be a cloud service. As you can see, there are many misconceptions when it comes to adopting a cloud strategy. It’s very easy to read a few headlines or hear a few quick blurbs from the media and have a completely warped view of what switching to the cloud entails. The key when making a decision to migrate is education. It’s important for business owners and decision makers within an organization to take the time to learn as much as they can before pulling the trigger and switching to the cloud. Only when you have all of the information and truly understand it all can you decide whether or not it is the right move for your business. Why is Cloud Computing Trending?